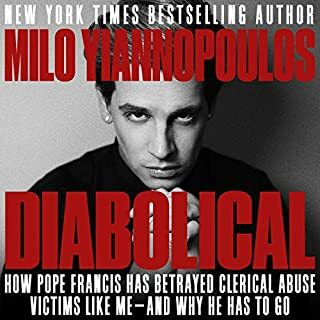 The untold story of the Left's efforts to politicize the Vatican and the battle to stop it - before the Catholic Church as we know it is destroyed. Pope Francis is the most liberal pope in the history of the Catholic Church. He is not only championing the causes of the global Left but also undermining centuries-old Catholic teaching and practice. In the words of the late radical Tom Hayden, his election was "more miraculous, if you will, than the rise of Barack Obama in 2008". But to Catholics in the pews, his pontificate is a source of alienation. It is a pontificate, at times, beyond parody: Francis is the first pope to approve of adultery, flirt with proposals to bless gay marriages and cohabitation, tell atheists not to convert, tell Catholics to not breed "like rabbits", praise the Koran, support a secularized Europe, and celebrate Martin Luther. At a time of widespread moral relativism, Pope Francis is not defending the church's teachings but diluting them. At a time of Christian persecution, he is not strengthening Catholic identity but weakening it. Where other popes sought to save souls, he prefers to "save the planet" and play politics, from habitual capitalism bashing to his support for open borders and pacifism. 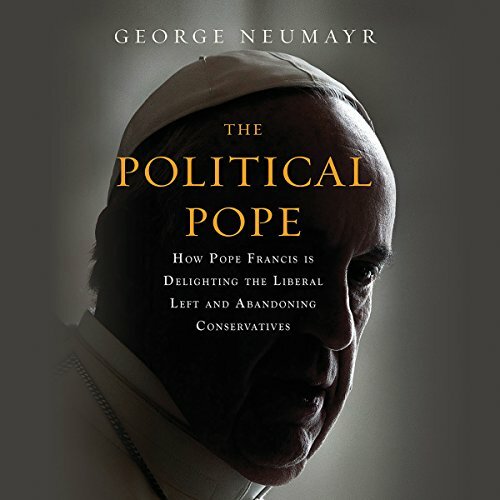 In The Political Pope, George Neumayr gives listeners what the media won't: a bracing look at the liberal revolution that Pope Francis is advancing in the church. To the radical academic Cornel West, "Pope Francis is a gift from heaven". To many conservative Catholics, he is the worst pope in centuries. Nice that the author had the courage to reveal the insidious goings on within the current pontificate. My thoughts Havel been verified to my dismay! I️ would have loved to have been wrong. The book itself was great. The narrators voice was pleasant but many words were mispronounced. I lived it. I love this Pope and I'm not catholic. Great history for me and insight. 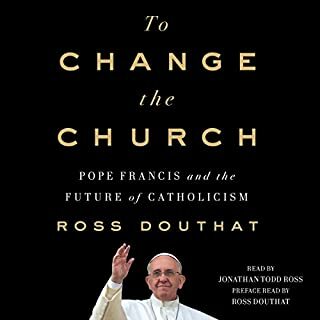 So much of what I was beginning to suspect and fear as a faithful Catholic is clearly affirmed and more by this author. He gives facts based on this Pope’s own words, teachings and acts that are very very troubling to say the least. It appears that all the hard work and accomplishments for evangelization, the preservation of the Holy Faith and Church under St. John Pau II and Benedict are being undermined. God help us! Is uber liberal and preaches social justice which is code for Liberation Theology. I am leaving the Catholic Church until it returns to the gospel teaching and not socialism/communism. Reads like a book-length version of "The Wanderer" newspaper. Exaggerates, makes improbable inferences, distorts facts. I never write reviews but made an exception for this book. While the author has a right to his opinion, I couldn't disagree more with his conclusions. The Catholic Church needs to be changed and Pope Francis has the courage and wisdom to lead the way. I finally feel like I belong in the Catholic Church. I think I'll stay. 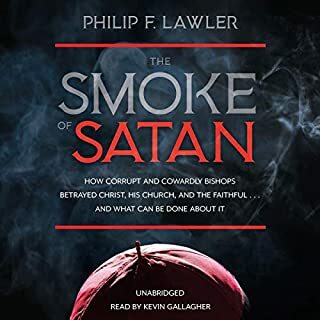 I would recommend this audiobook to a friend. Read at a good pace. What does Holden Still bring to the story that you wouldn’t experience if you had only read the book? The pace gathered together the information in my mind. Where do I start from here as a Catholic, there is just so much Pope Francis I has said that has not just startled Catholics, but non Catholics who knew what the church's stance was. To answer the critics, I must say that the Pope and clergy close to him have been quoted extensively and in context. In, addition to that, the book was well researched and presented both sides that was and is present within the church. To those who criticize this book as baloney, I challenge them to bring forward this 'baloney' to the discussion table. 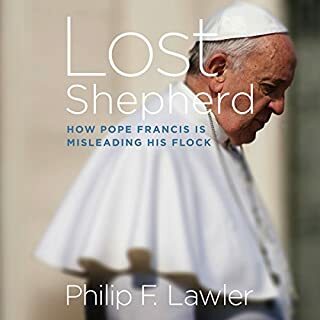 This book excels in going into Papa Bergoglio's past and establishes a pattern which would make some sense of what he is saying, after all he believes in the God of surprises. 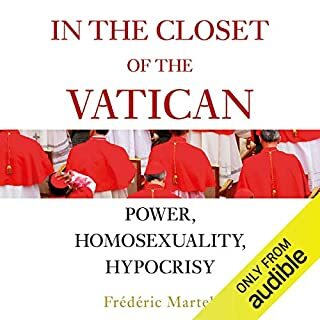 The meat of this book is in looking at how poltical this pope was, and his discontinuity with what past Popes taught. From environmentalism, to sympathy with communists and open borders, George shows how the church took a 180 from its past pontiffs. 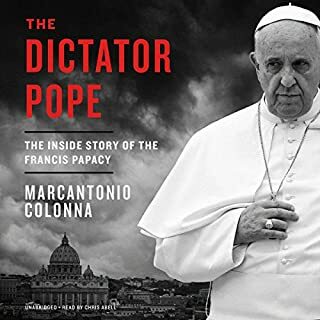 Anyways I give this book 5 stars and though quite comprehensive, Francis I is still Pope and I believe he will continue to make similar remarks in the future wherein I believe this book may need a 2nd edition. Congratulations to George for his very monumental work.